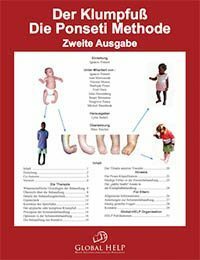 We produced this book to provide an affordable, authoritative, easy-to-follow guide for healthcare professionals to learn the Ponseti method of Clubfoot management. This book is designed to be engaging and colorful, with sufficient detail to help newcomers master the method. German translation by Marc Sinclair.